A new day, a new week. I’m going to try and publish an Australia-based post each week. 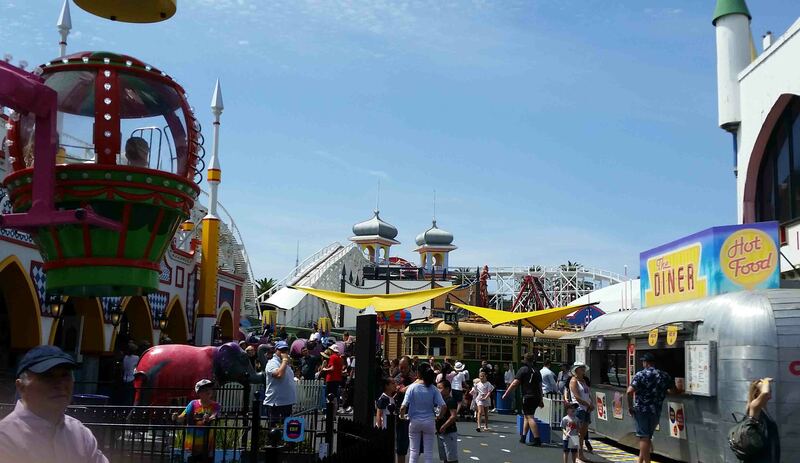 And today I am taking you to a place from my childhood – Melbourne’s Luna Park. 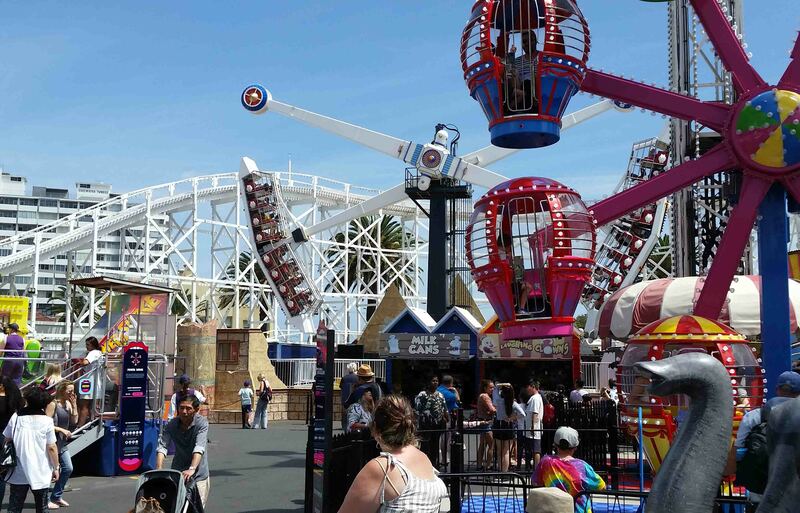 It’s an amusement park in the area of St Kilda, almost on the beach in one of the most popular parts of town. 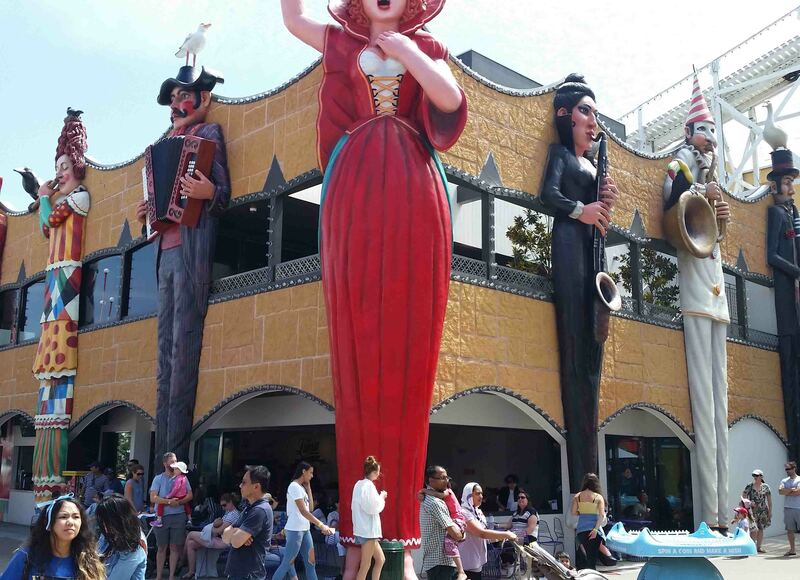 Sydney also has a ‘Luna Park’, also put in a very picturesque spot on the harbour. 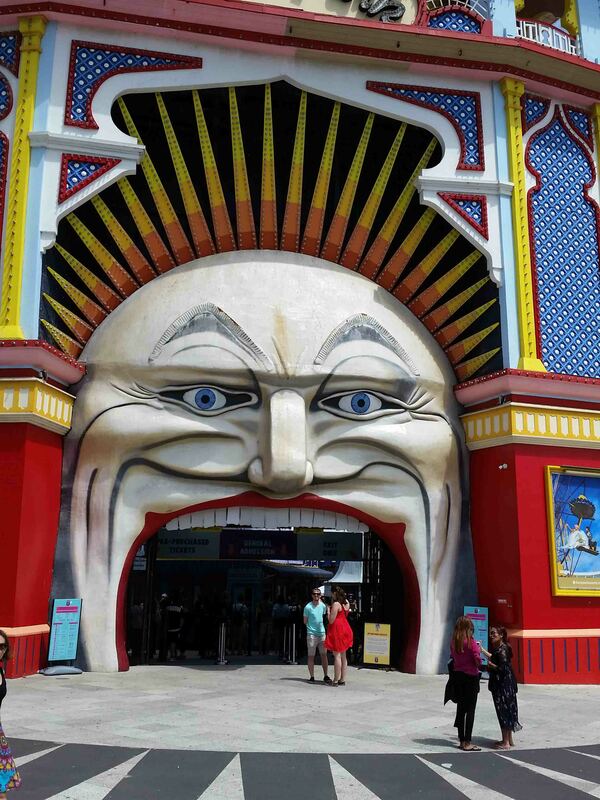 Both greet visitors with a giant face, mouth open wide and you walk through this to get inside. Both are historic – Melbourne’s was opened in 1912 and Sydney’s in 1935. 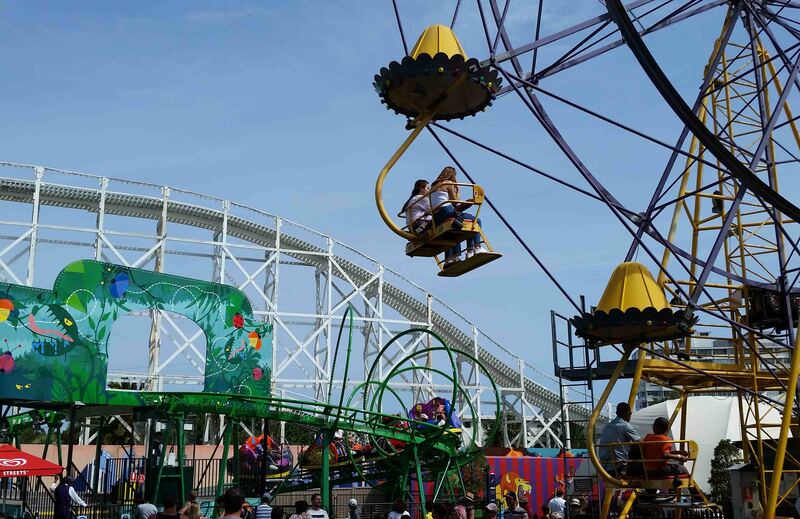 Melbourne’s una Park features the classic rollercoaster the ‘Scenic Railway’, there from the park’s inception until the present day making it (as well as the park) over 100 years old. For me this was always my fondest memory of Luna Park. Riding the Scenic Railway is an essential experience, and the other two rides I remember were the ‘Big Dipper’ – also a roller coaster, similar to the Scenic Railway in construction although it circled around itself much more tightly – and the Ghost Train which I remember as being rather cool. Today, the Scenic Railway and the Ghost Train still survive, the Big Dipper was taken down years ago. 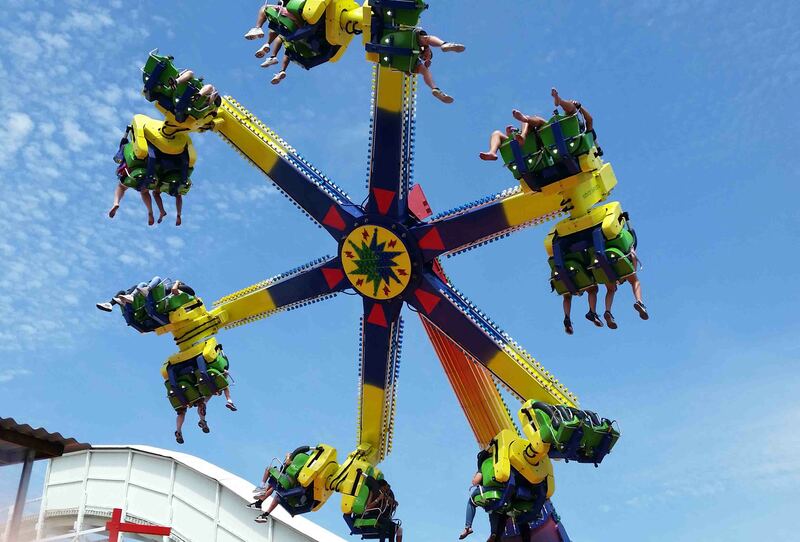 There are a bunch of newer rides such as the Pirate Ship, I HATE the pirate ship, went on one a long time ago at SeaWorld and would never get on another (not at Luna Park), others for the younger children and then others that are more extreme that spin you around and upside down. Also missing today was the Gravitron which was a favourite back in the day. And for reference ‘the day’ means pre-1990. And so a couple of months ago I returned as an adult. Blown over by the prices – $10.95AUD for a single ride – I still wanted to try a couple of rides out. For $49 it’s unlimited rides. 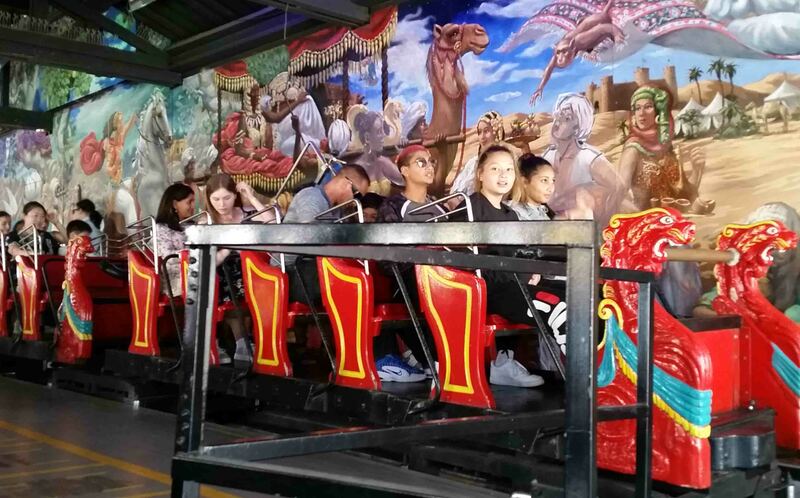 But this place isn’t Movie World or Universal Studios, it’s a relatively compact amusement park in Melbourne and the prices are just ridiculous. There is also an entrance fee if you don’t buy any ride tickets. So anyways, I queued and I took the Scenic Railway. 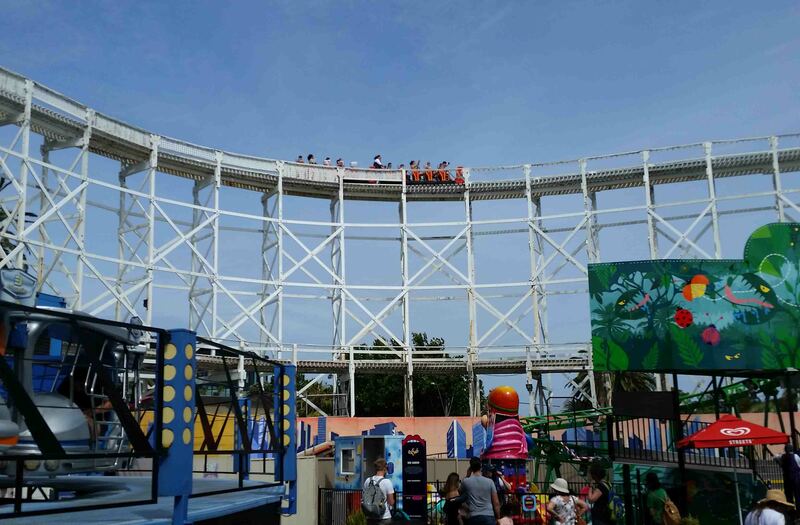 It circles the entire Luna Park twice – once up high with amazing views. No phones or cameras allowed! And boy, you can feel each of the 106 years as you go up the hills. It’s a completely wooden structure and you look down you see all the planks of wood and wonder if any of them are over 100 years old. And this made me feel a little nervous. It’s fun though, and not a very scary roller coaster. Many a year ago, the previous time I was on the Scenic Railway, it was an interesting ride to say the least. We did the full ride and returned to the stop, but the brakes failed and we kept going! Then it stopped twice on hills the second time around but not again at the stop. As a kid I remember being just happy about getting free rides! We finally came to a halt on a flat, lower piece of track and we had to walk off the train and were helped to ground. The Scenic Railway was closed for years after that. 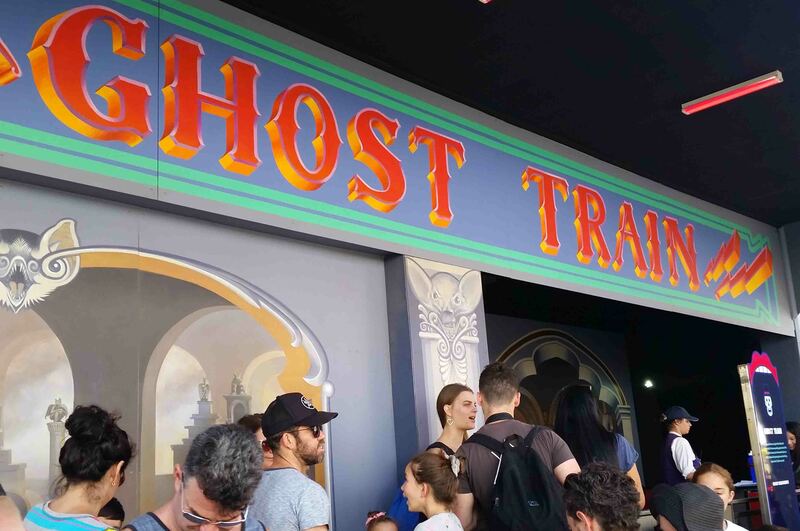 I tried the Ghost Train too, and I feel ashamed to say it but… it’s really lame. A couple of skeletons lit eerily does not a good Ghost Train make. 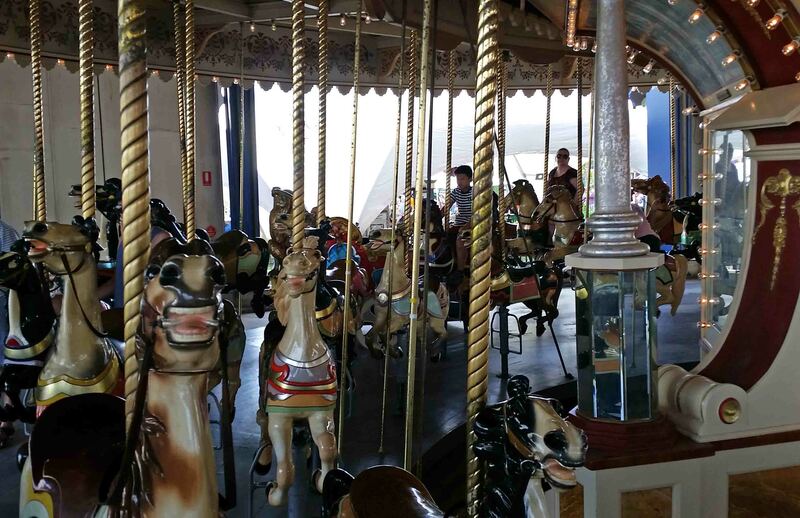 Then I tried the large carousel. It was constructed in 1913 by the Philadelphia Toboggan Company and is heritage listed. So it’s worth seeing and heck, why not ride it? The precinct you find Luna Park has beaches and the historic Palais Theatre, plus Acland Street full of bars and restaurants as well, and a great way to spend a day or afternoon. And despite the price, if you buy the one ticket for a ride I think that’s all you need to get in. 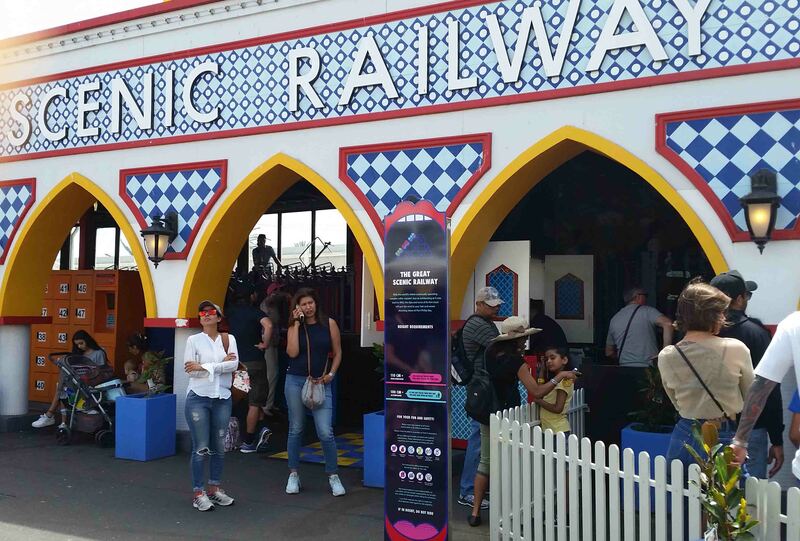 So you can see the carousel and explore Luna Park, and then ride the Scenic Railway and enjoy all the creaks and views! Here’s a youtube video I found giving you the full ‘Scenic Railway Experience’! Thanks for stopping by, and May the Journey Never End! It’s really quite a nostalgia trip!